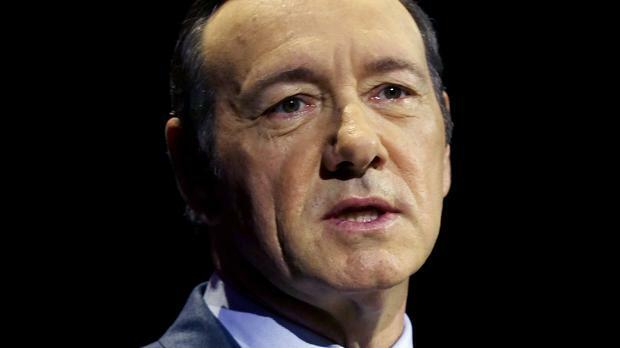 Kevin Spacey has revealed Jack Lemmon taught him to be a lead actor you have to be a leader. The House Of Cards star was spotted by the late Hollywood legend aged 13 whilst attending an acting workshop and they went on to work together on Broadway. Kevin revealed: "[What] Jack always believed, and he passed down to me, was that when you're playing the leading role, it's not just a leading role, it's a leadership role. You can have a lot of influence on the environment, by doing your best, and always being there and always being ready and always being prepared, because that's what a company needs to see. "And part of doing all those things I just described is having a great time, being a bit of a prankster and making people laugh. To never forget that what we do is play, what we do is pretend, and what a remarkable thing we get to do with it." This role of leader can be seen in new documentary film NOW: In The Wings On A World Stage, which follows the actor on his 10-month international tour of Shakespeare's Richard III. Spending months together in close quarters in nine different cities, the cast "became a family". Kevin revealed: "There is something about the ritual of coming to work every day, with the same group of people, and you're all up for what you're going to do that night, or that afternoon. You're not doing it for money - you're doing it because you love it," the California-raised star explained. "The act of coming together every night and joining to share a story with an audience, and that they then become part of that experience, is one of the most powerful things that an actor can ever experience." But despite forming a strong bond with the cast, the 54-year-old actor said he didn't miss them when it was time to go their separate ways. He said: "I'm the kind of actor that when I hang up the costume at night, I hang up the whole experience." :: NOW: In The Wings On A World Stage is in cinemas now, and available to download via nowthefilm.com.